Showing results 1 - 5 of 58 for the category: Waste/Recycling. 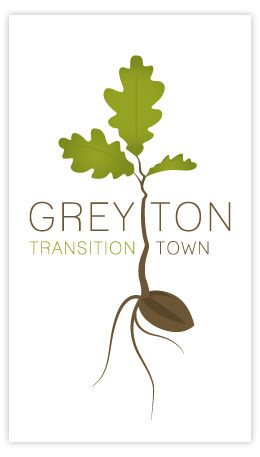 Transition Linlithgow: it’s just a stage they’re going through…. Apologies for the title, I couldn’t help myself. Here’s a story from Linlithgow in Scotland, one which includes a request for your ideas. 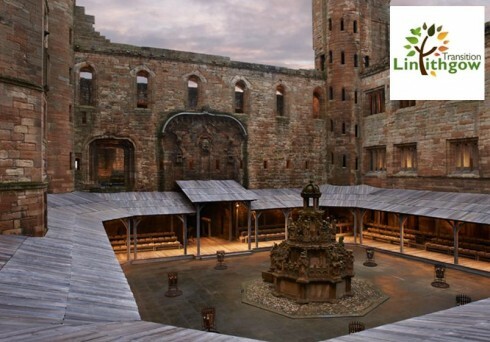 So, last November Chanel held the rather swanky and illustrious ‘Chanel Metiers d’Art’ fashion show at Linlithgow Palace, famous for being where Mary Queen of Scots first came into the world. The Palace’s courtyard was used for the show, and was suitably glammed up, with the addition of a large see-through tent on the grounds outside and the creation of a covered platform/stage thing running round the inside of the Palace. 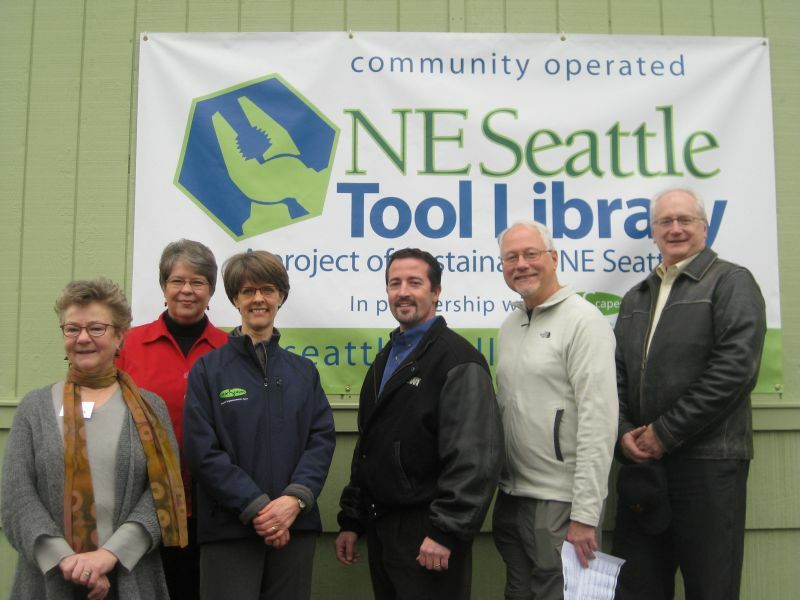 Susan Gregory (NE Seattle Tool Library), Pastor Lorraine Watson (North Seattle Friends Church), Signe Gilson (Cleanscapes), Dai Gorman (Lease Crutcher Lewis), Richard Conlin (Seattle City Council), and Tim Croll (Seattle Public Utilities) at the opening day for the Library.